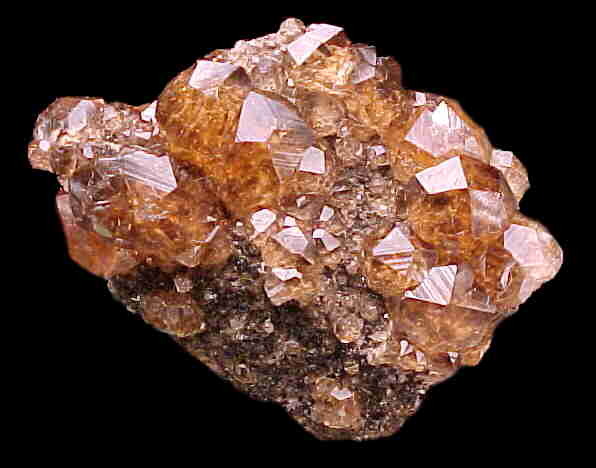 Comments: Gemmy, transparent, cinnamon-colored grossular crystals averaging 7 mm in size. Location: Jeffrey mine, Asbestos, Quebec, Canada. Scale: 3.5 x 4 x 1.5 cm.